Millions Of Bankers Can’t Bank Online. BofA Blames Hackers – Cyber Attacks By Iran? Black Mon 10/12/2012? I just posted an article, by CGI’s Morgan, below. That article is showing one of several scenarios they will use to start the war with Iran. One of them was a Cyber attack on Wall Street or banking. How predictable. The banker zombies are not content at having been bailed out at the expense of the living standards of all future generations of Americas. No. In fact, they are fighting tooth and nail for the right to continue to steal more and more from the increasingly impoverished citizenry. A banking trade group is preparing to set up a political fund that would allow members to funnel money anonymously to pro-industry candidates in the final months of the U.S. election campaign. The American Bankers Association board is set to vote tomorrow on a plan to create a nonprofit that would donate to super-political action committees, or super-PACs, that can spend unlimited amounts on TV ads and other campaign activities. Note what that said above. 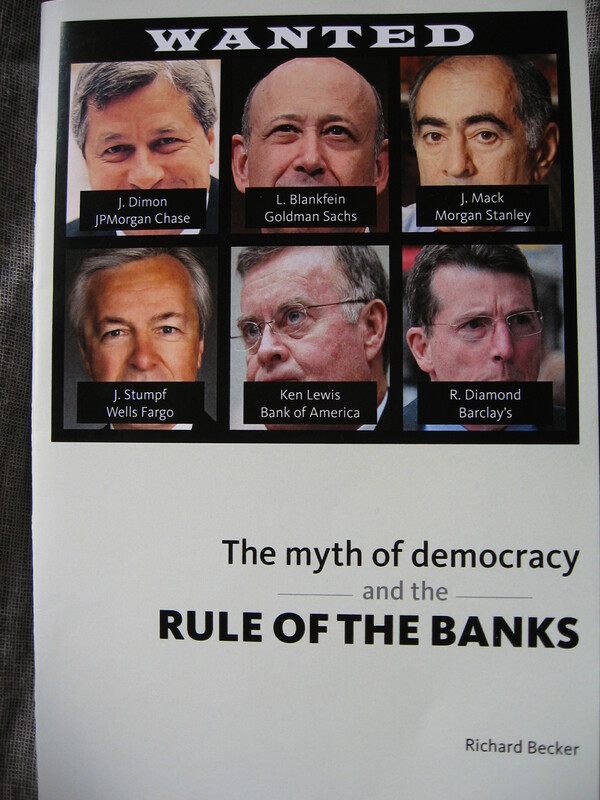 Bankers are setting up a non-profit to buy off politicians with anonymous donations. Oh yeah, this is going to turn out well for us. How are they able to do this? This report assures that US mega-banks are a “valid target” of the Iranian “cyber army”. However, the attackers used a known forum that is utilized by the CIA-controlled Anonymous to issue threats and brag about their successes. Matt Taibbi and Yves Smith discuss the folly and corruption of both banks and government. Also, Peter Edelman on fighting U.S. poverty.